Do you want to build a snowman? If you have seen the movie Frozen, you can’t help but sing that song in your head when looking at Olaf! This is such a cute Disney movie that is beyond popular. Anytime we can combine a character kids love, and veggies we go for it! When kids can relate to something or feel connected in some way, they are much more likely to try whatever you are serving. 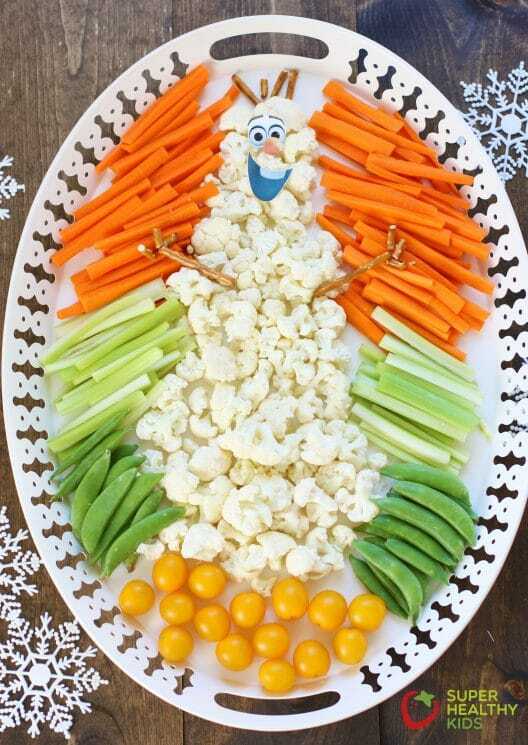 A veggie tray is a great appetizer, after school snack, holiday party mingling food, and even as a side dish to a meal! This cute Frozen theme veggie tray is sure to be a hit at your next event! 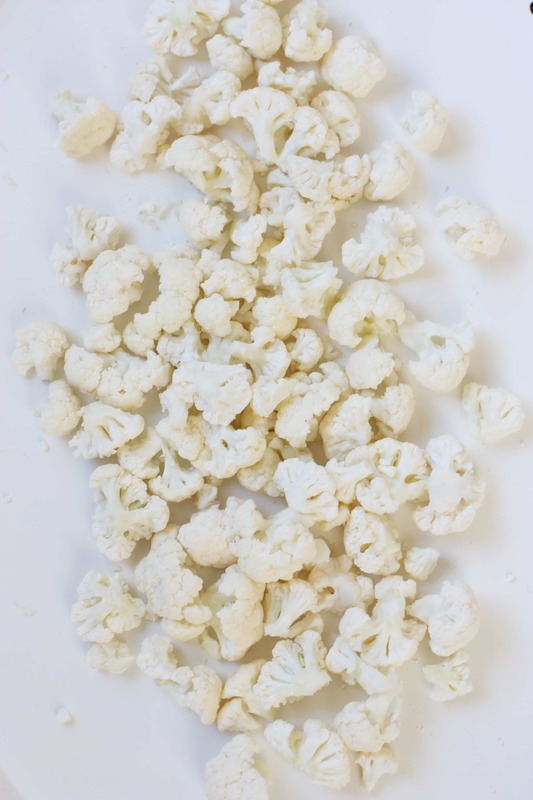 The ingredients for this veggie tray are pretty simple. Start by cutting your cauliflower into small bite-size pieces. Place them on your tray and then arrange into a snowman shape. And trust me, you do not have to be artistic. You will also need additional veggies to surround your snowman. 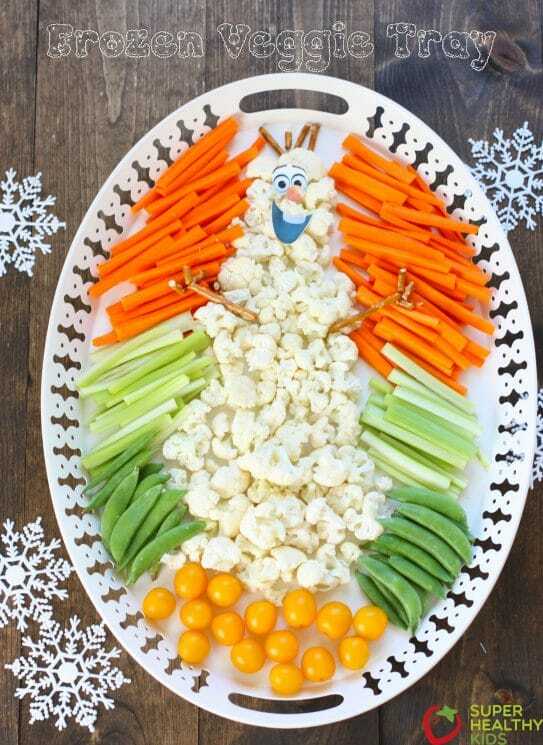 We chose carrot sticks for the top portion, because Olaf has a carrot for his nose and it was a cute match! Chop and peel whatever veggies you like and place them around Olaf. We used pretzel sticks for his arms and hair. I broke apart one pretzel stick and used it for his fingers. For the face, I purchased an image here, because I knew that I was likely to use it again for something! You can even draw your own on a piece of paper if you are feeling artistic. You can also use olives for his buttons which would be super cute. 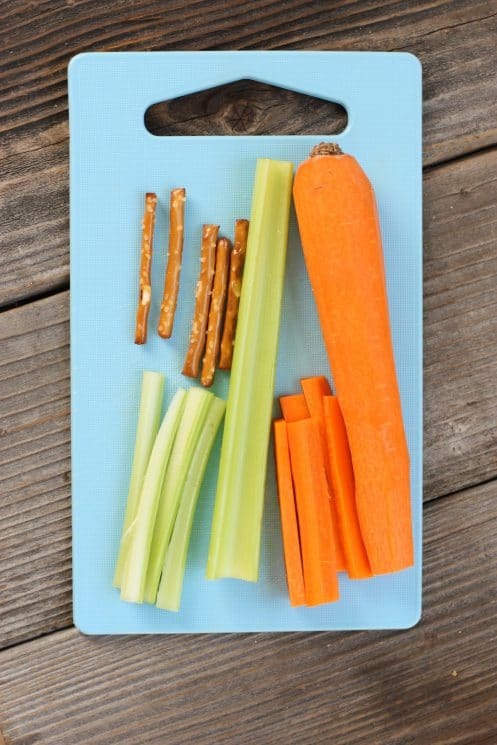 Assemble your veggies on a tray and add the Olaf face, arms and hair and you have yourself a super fun veggies tray that kids will love! This is super cute! My kids would love this for sure. Ohmygosh!! My kids would love to take this to school for their class party! !